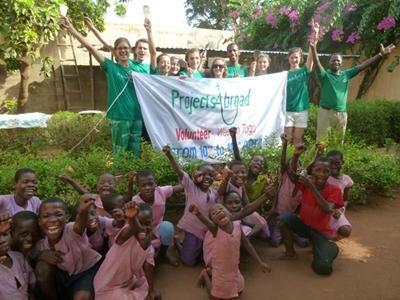 All volunteers joining Projects Abroad in Togo are met at the International Airport in Lomé. After getting your passport stamped, you will collect your luggage and exit into an arrivals area. A member of Projects Abroad staff will be easily visible, waiting for you with a Projects Abroad sign. They will then take you to your host family to settle in and rest. Depending on the time of your arrival in Lomé you will either have your induction in the afternoon of your arrival day or the following day. You will be picked up from your host family and taken for an orientation around Lomé. You will be shown how to reach our office on foot or by moto-taxi. You will also be shown the handbook and any necessary safety and security measures will be explained. You will then be shown around the city including different landmarks and amenities such as the post office, banks, bureaux de change and you can also buy a local SIM card. You will also have the opportunity to meet some of the other volunteers. The next morning, you will be picked up from your host family and shown how to get to your placement. Most placements are conveniently located within walking distance from your host family but if it is too far to walk you may need to take a moto-taxi. If you do need to take a moto-taxi you will need to cover the cost of this, which should be on average less than £1 per day. When you arrive at your placement, you will be introduced to the supervisor who will explain your role and what you will be doing during your time. 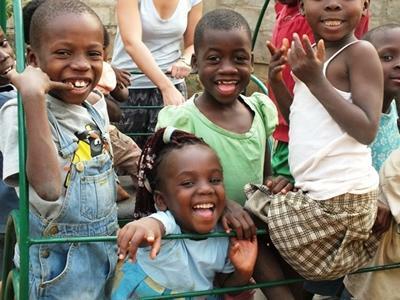 We would encourage all volunteers going to Togo to try and learn some French before you go. The host families do not usually speak English, and really appreciate it if volunteers make this effort. If you want to become even more proficient, we can help arrange French lessons.